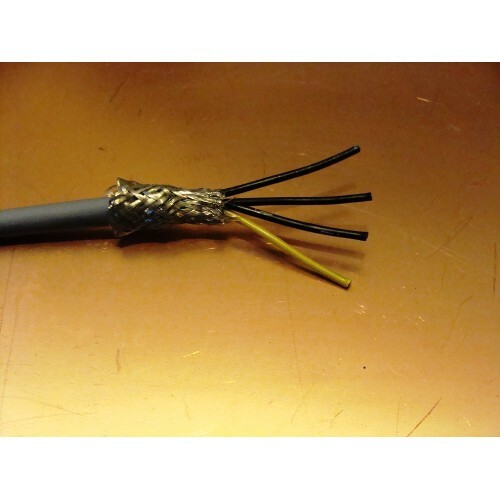 Cy cable - Plain annealed flexible copper conductors, PVC insulated, mylar taped, tinned copper wire braid screen, PVC outer sheath. Grey. 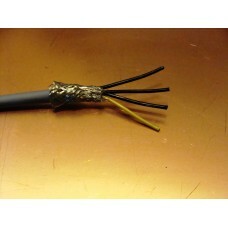 300/500 volts grade generally to BS6500 and VDE 0250. Sold in multibles of one metre lengths. Any quantity ordered will be sent in one length unless requested not to. Application: Used as interconnecting cable for measuring, controlling or regulation in control equipment for assembly and production lines, conveyors and for computer units. Suitable for fixed installations or for flexible use when temporarily moved, and in conditions of medium mechanical stress. Can be used outdoors when protected, and in dry or moist conditions indoors. Core Identification: Black with White numbers. (3 cores and above to include Green/Yellow).